Next in our Glenfarclas minis evening was the cask strength Glenfarclas 105. 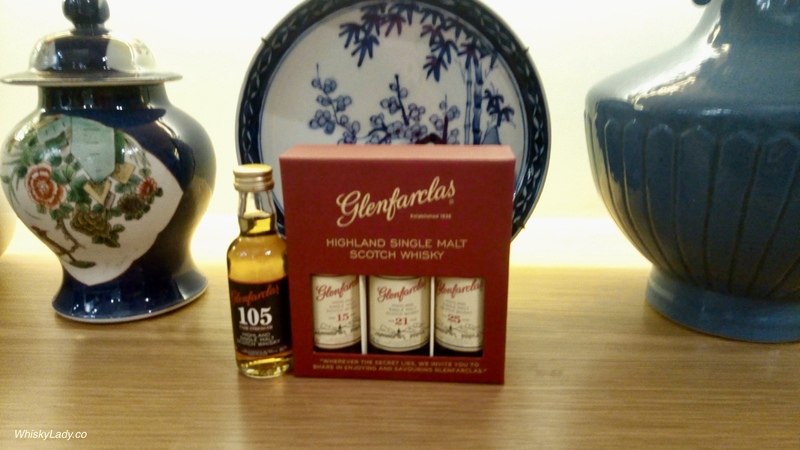 First sampled as part of a Glenfarclas evening in 2011, a bottle of Glenfarclas 105 hung out in my whisky cabinet for a few years to be trotted out when only a bold no-nonsense dram would do. While wonderful on its own, with water it really comes into its own. Where one should wait to let the water and whisky combine to be rewarded with wonderful flavour. Overall we enjoyed its robust, straight forward sherry bomb qualities. What do the folks over at Glenfarclas have to say? Flavour – Dry and assertive, develops quickly to reveal a rich spiciness, combined with a hint of oak and sherried fruit. Finish – Amazingly smooth for the strength, wonderful warming with a lingering spiciness, yet very rounded. We sampled this whisky in Oct 2017 from a closed miniature purchased from The Whisky Exchange in London for approx $11. 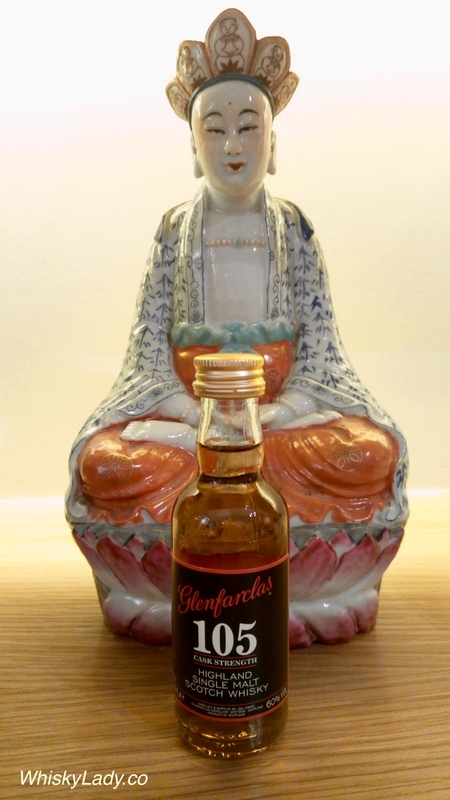 What else did we sample in our Glenfarclas minis session? This entry was posted in Scotland, Speyside and tagged Glenfarclas, Glenfarclas 105, Miniatures by Carissa Hickling. Bookmark the permalink.